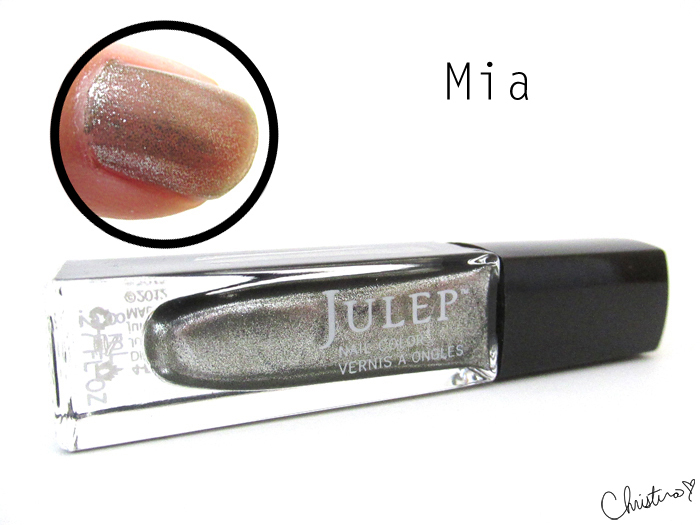 This was my very first Julep purchase and I was quite surprised. 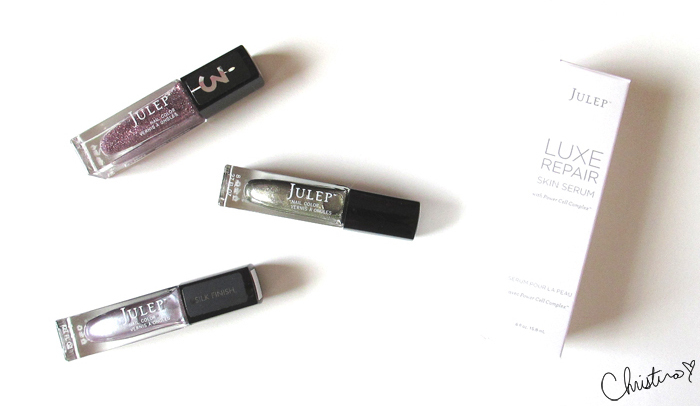 I have heard nothing but wonderful things about Julep as a whole. And because this was a free promotional Welcome Box (with the shipping payment of $2.99 USD), I thought I would give their subscription service a try. The Julep Maven Fall Neutrals Box was unexpected. When I think of "Fall Neutrals", the thought of browns, grays, olives and beige come to mind. Nonetheless, I love the colours and products that were picked out for this month. A rejuvenating serum that can be used as a daily treatment or moisturizer for face, hands, or body. I have already fallen in love with the Luxe Repair Skin Serum, I notice a slight difference and improvement towards my skin and this may be a repurchase in the future! And even though I probably won't be applying Mia or Queen Anne until later in the year, I very much enjoyed the Julep products provided. Especially only having to pay shipping for the first box for 4 products with a value of over $60. It is definitely a great deal! And even in the months coming, a $25 subscription box is completely worth it. Overall, the consideration of continuing the subscription is high, however, I have far more than enough nail polishes and beauty products to finish up before making further purchases. I may continue for a few more months but I may call it a farewell for now. We will see.